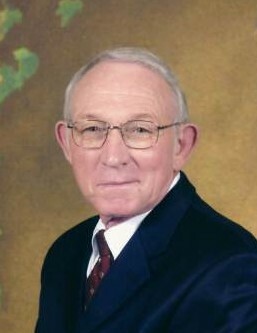 Jacksboro ~ Orie Leon Garrett, 79, went to be with our Lord Friday, June 22, 2018 in Jacksboro. Graveside service is 10:30 a.m. Tuesday, June 26, at Oaklawn Cemetery in Decatur, Texas. Family will receive friends 6 - 8 p.m. Monday at Hawkins Funeral Home in Decatur. Leon was born September 30, 1938 to Clyde Orie and Mary Alma (Foxall) Garrett in Bowie, Texas. He married Patricia Nolin on August 27, 1976 in Bridgeport, Texas. Left behind to cherish his memory is his wife of 42 years, Patricia Garrett of Jacksboro; 3 daughters, Carol Gwen Mann and husband Danny of Bowie, Elizabeth Ann Briggs and husband Bobby of Runaway Bay, and Sharon Louise West and husband Quana of Henrietta; 2 sons, Howard Duane Watford and wife Tammylee of Henrietta, and Bryan Alan Watford and wife Sandy of Ringling, Oklahoma; 7 grandchildren; 12 great-grandchildren; numerous extended family and a host of friends.